Southern Arizona is in a period of rapid growth. It sometimes seems that road construction crews are everywhere we go. 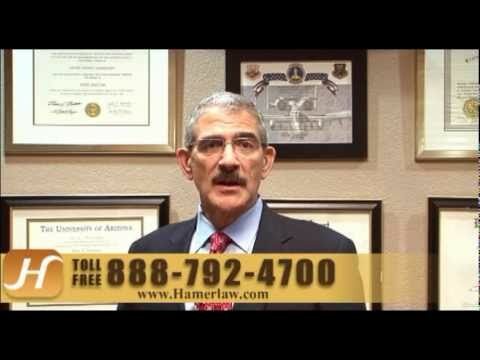 When a serious car accident is caused by a dangerous road construction zone or defective highway design, the experienced legal team at The Hameroff Law Firm in Tucson can help the victims pursue maximum recovery by filing a claim against the city or state government or governmental agency responsible. Time may be running out to pursue a claim or lawsuit against the government in a car accident case involving dangerous road conditions or highway design defect. In general, you have only 180 days to commence a negligence claim against a governmental entity in Arizona. Contact us today at info@hamerlaw.com to explore your options in a Free Consultations with an experienced Tucson personal injury lawyer. It’s about maximizing your recovery. It’s about figuring out who is at fault. Often times, a negligent driver does not have enough insurance or personal resources to cover the cost of a catastrophic injury or the wrongful death of a loved one in a serious car accident. Under the legal concept of municipal liability, the state or local government can be held at least partially responsible to pay for damages in a collision caused or contributed to by dangerous road construction or defective highway design. When the driver can’t fully compensate you for your injury or loss, a claim against the government may be a good option for seeking the maximum recovery you deserve. Call The Hameroff Law Firm in Tucson at 520.792.4700 or 1.888.792.4700 today to discuss your serious or fatal car accident case and whether a lawsuit against the government for dangerous road construction or defective highway design may be a good option for maximizing your recovery. You also can email us at info@hamerlaw.com with any questions or to schedule an appointment.